Box wine dominates convenient stores for the first half of the year. Sales of domestic premium boxed wine increased by 23 percent throughout the first 6 months, and gained 1.5 dollar share points. Boxed wine represents up to 10 percent of the convenient store wine share, according to IRI. Boxed wine has gone up to 15 percent in the food/grocery channel up until June, and added .50 a dollar share point to the collection only making up 5 percent of the channel. 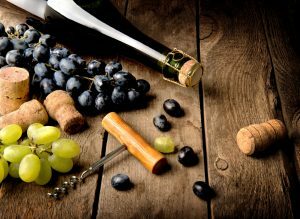 Sparkling wine sales increased by 11 percent in the first half of the year, and was driven by super premium ranging in the $13-$18 prices and ultra-premium in the $18-$34 prices. Super premium increased sales by 17 percent in the category, adding nearly a whole dollar share point. Ultra-premium sales increased by 24 percent and gained 0.6 dollar share points. Popular ($0-$8) segment grew sales by 5%. Premium ($8-$13) segment increased sales by 10%. Super premium ($13-$18) segment grew sales by 17%. Ultra ($18-$34) segment grew sales 24.5%. Luxury ($35+) segment grew sales 12%.